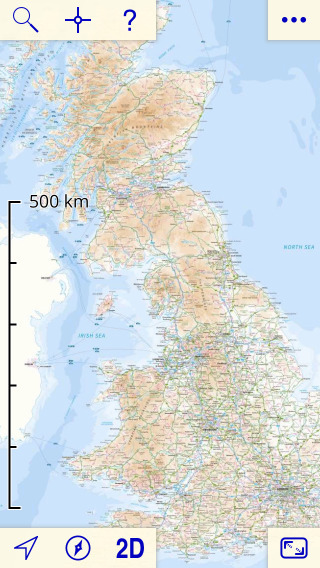 Northern Ireland is not included, nor are the Channel Islands. 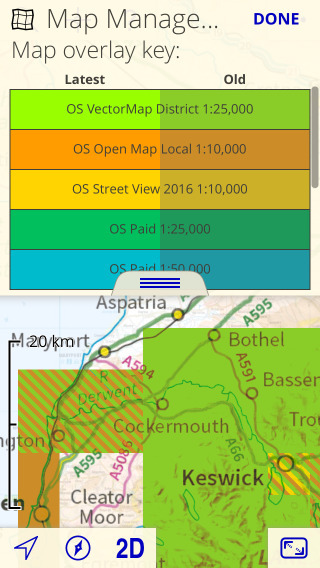 The Isle of Man is included at 1:1,000,000 and 1:250,000 only. 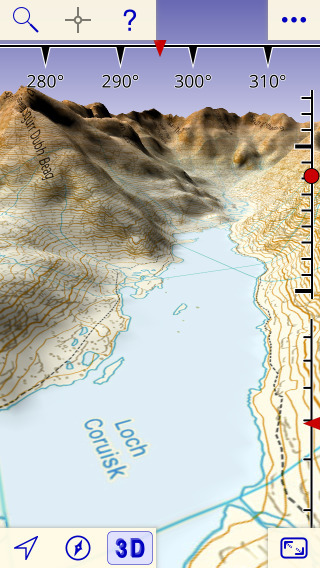 To download detailed maps, zoom in and touch the screen until a blue square appears, then sweep out the area to download. 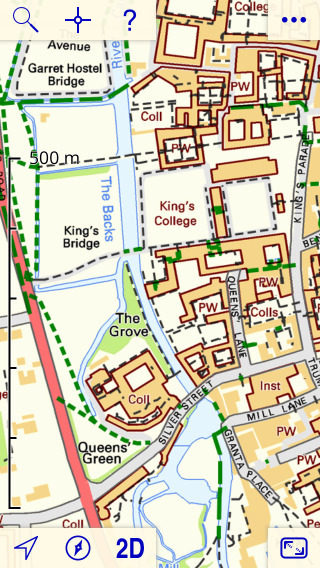 The maps are installed in 5km x 5km tiles. 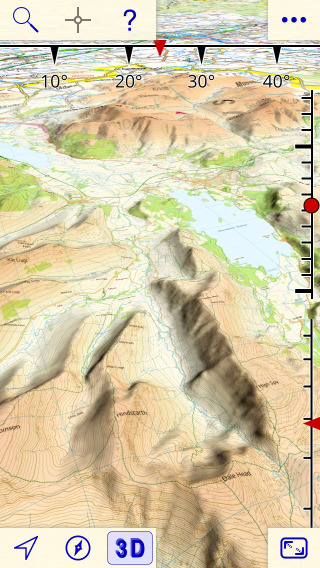 You have a choice of three different map tpyes, one at 1:25,000 scale and two at 1:10,000 scale. 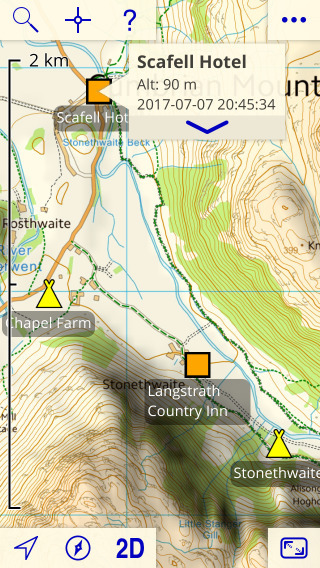 Once downloaded the maps are retained until you delete them, so you can use the app with no network connection. 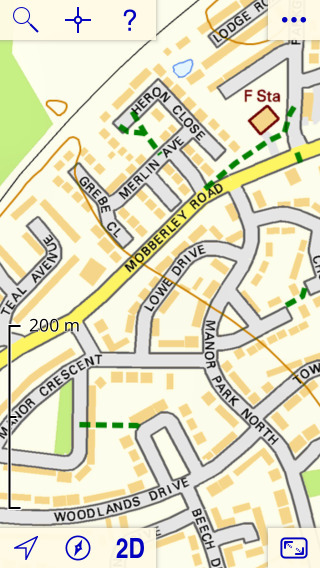 If it seems nothing has happened after downloading, zoom in more. 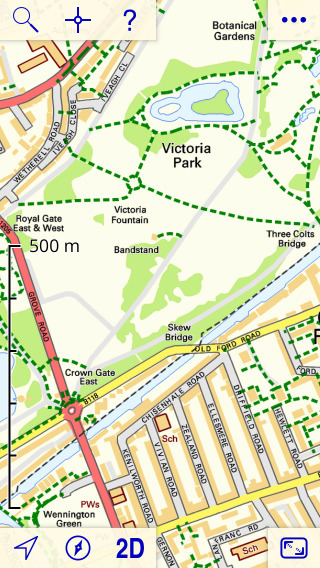 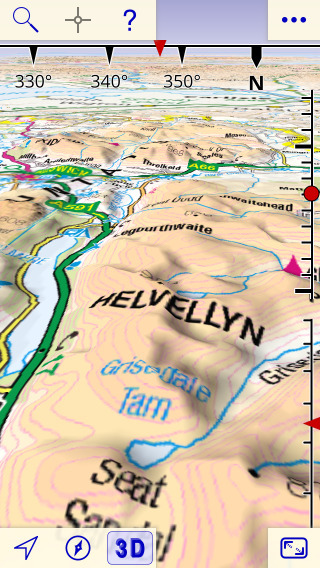 The 1:25,000 maps are OS VectorMap District. 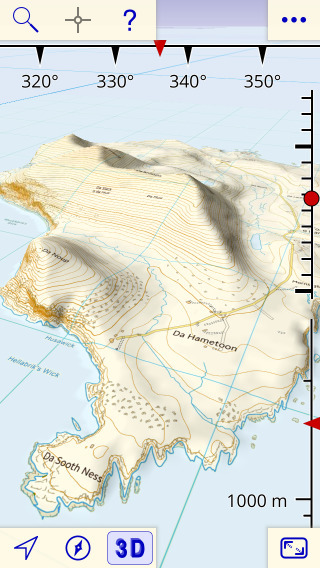 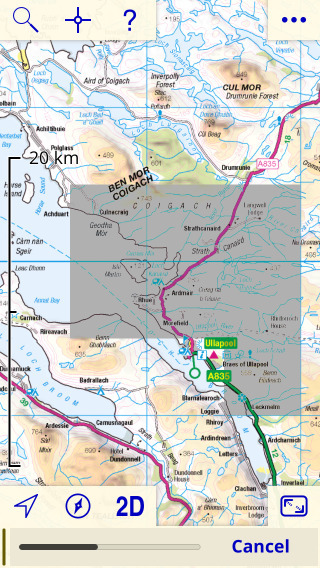 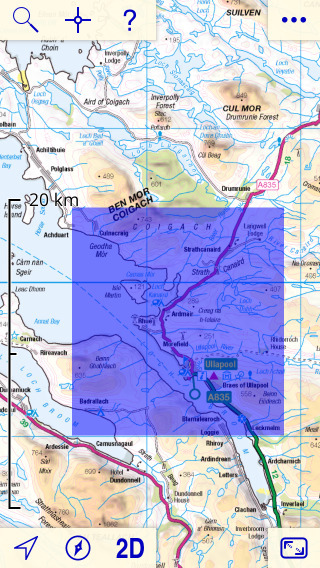 This is similar in detail to paper 1:50,000 Landranger® maps; they're not quite as good as the 1:25,000 paper Explorer® maps because they don't show field boundaries and a few other details. 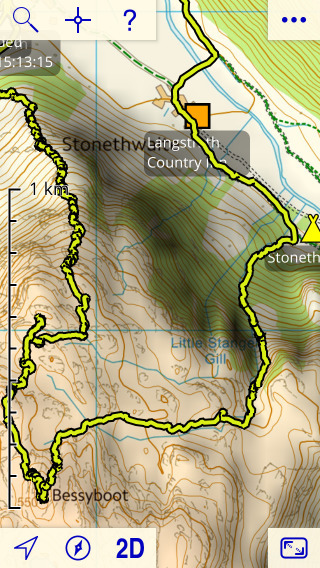 They do show contour lines, and they show footpaths based on data from OpenStreetMap.org. 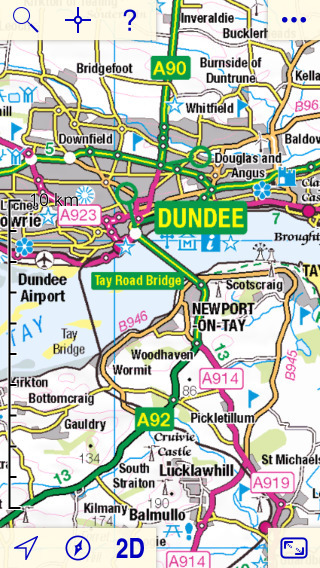 More about the maps. 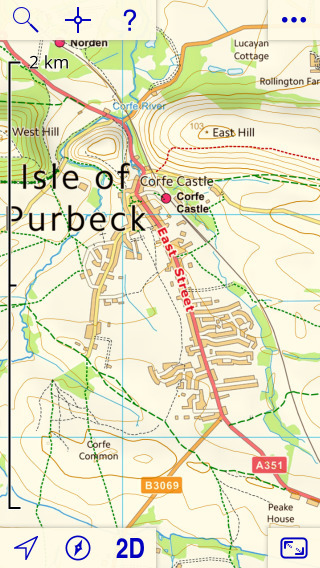 The 1:10,000 maps show street names and building outlines; they are ideal for urban navigation. 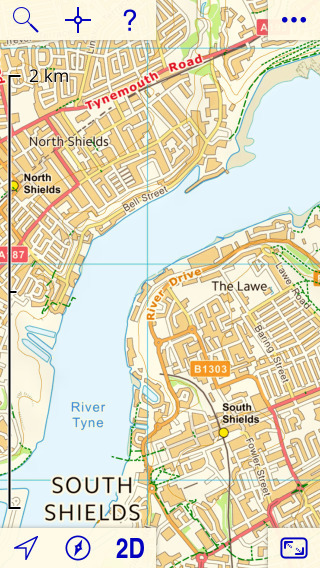 The two choices, OS OpenMap Local and OS Street View, are similar in many respects; see the Maps page for comparisons. 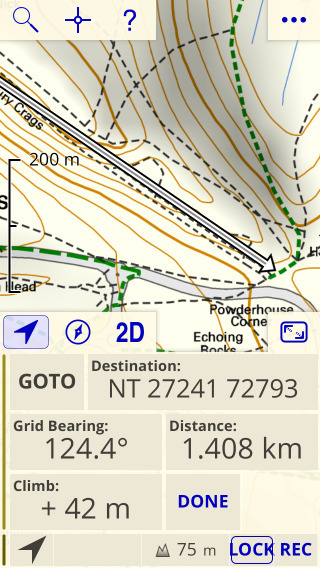 The app has offline search; no network connection is needed. 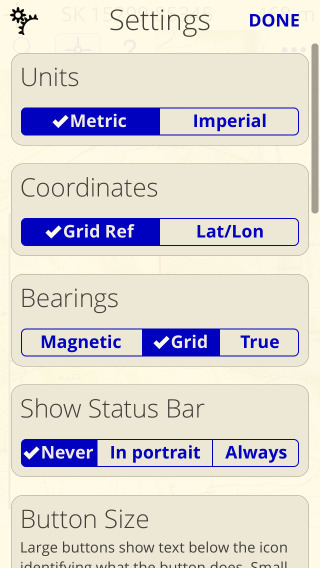 Show your location using GPS. 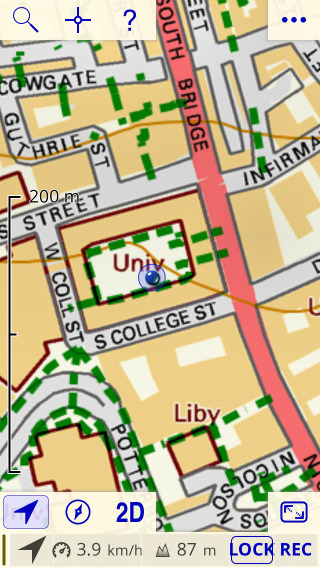 Lock on your location. 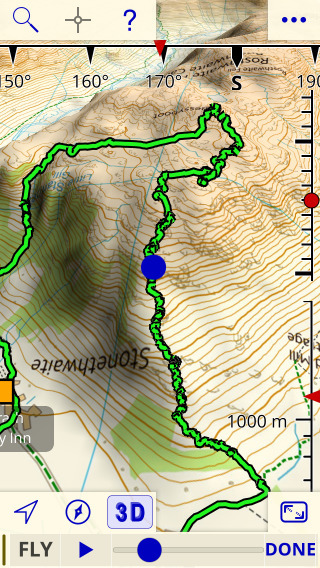 Use the compass to rotate the map to align with the ground. 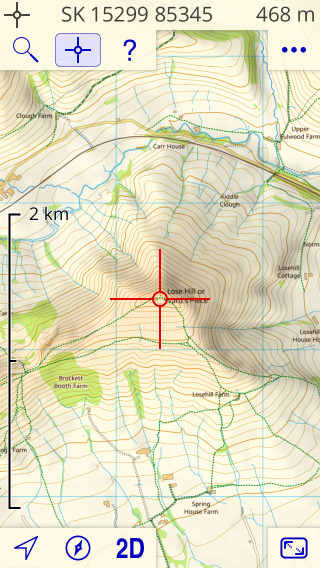 The co-ordinates display shows the grid reference of the point under the crosshairs. 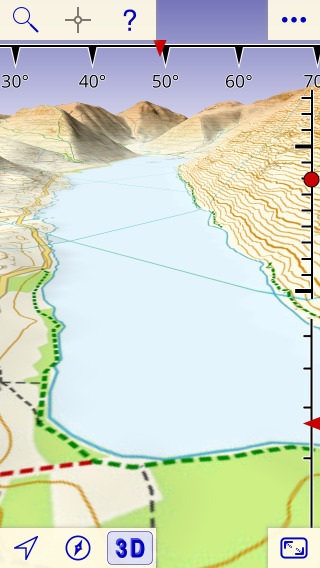 Navigate to waypoints, and other locations. 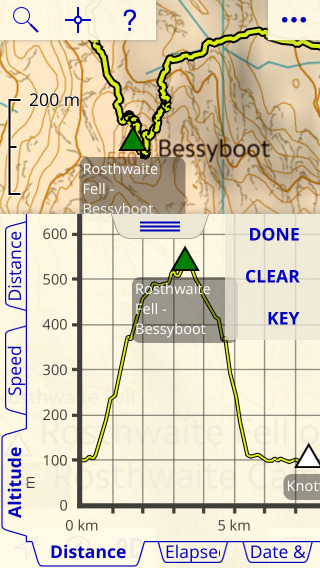 Fly through recorded tracks and planned routes. 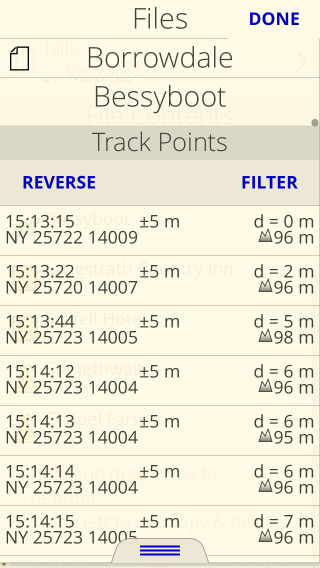 Inspect and filter the points that make up tracks and routes. 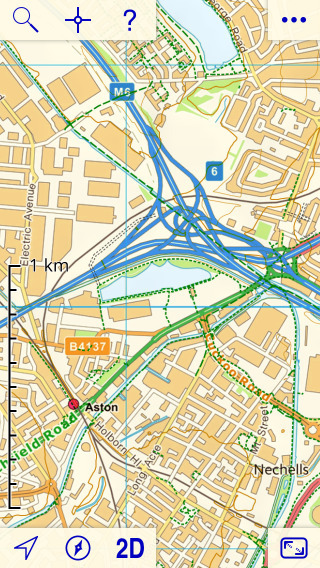 Import routes from websites and other apps. 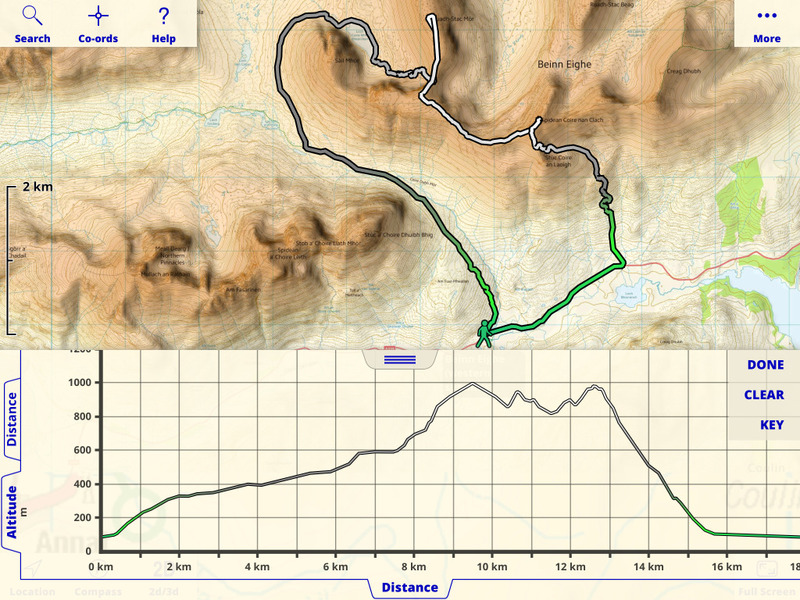 Plot graphs of tracks and routes. 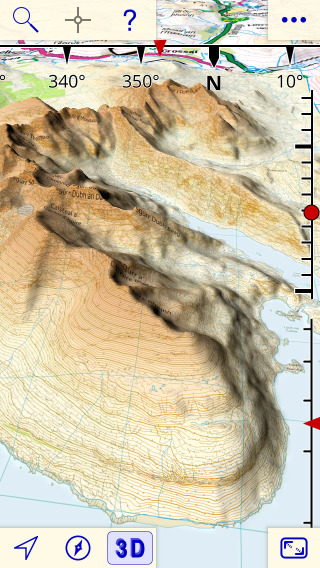 Export GPX files. 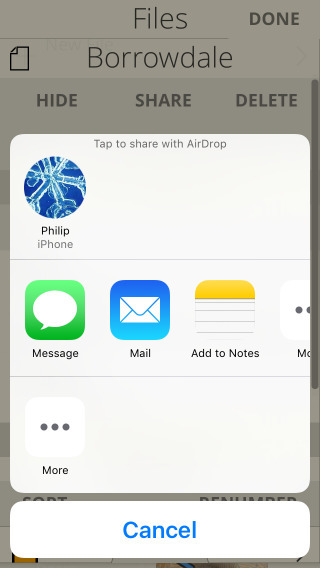 Share with nearby devices using AirDrop. 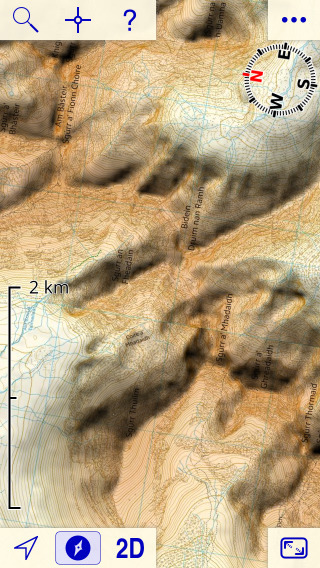 Change you preferences including the slope shading and height tint effects. 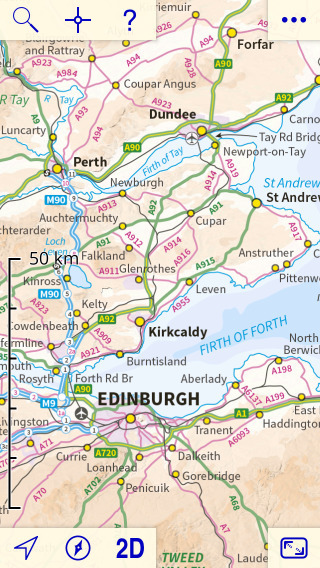 Show where detailed maps have been installed. 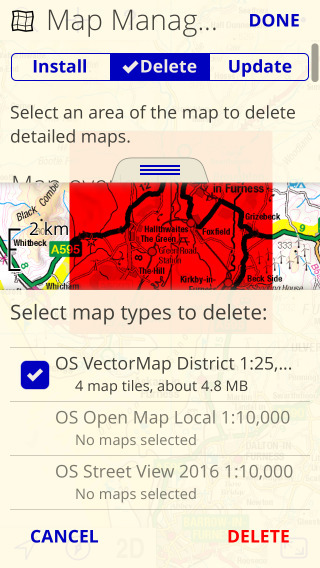 Delete maps only when you need space. 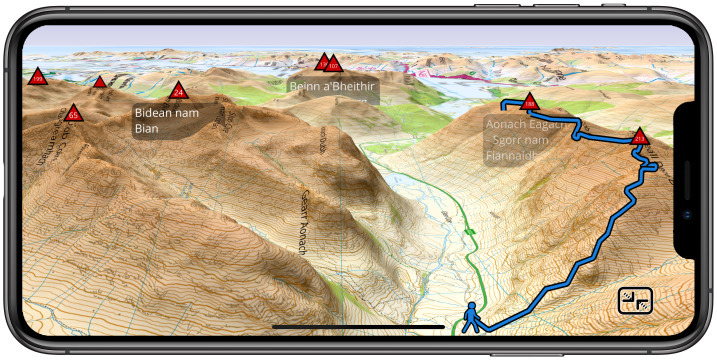 UK Map is now available from Apple®'s App Store in the Navigation category for only £7.99.